First off, what is the Paleo Diet. The Paleo diet, short for Paleolithic diet, also known as the caveman diet, is a modern diet plan based on the presumed diets of ancient hunter-gatherer cavemen during the Paleolithic era. This was the period of about 2.5 million years ago until about 10,000 years ago. This diet is based on foods available today that would be comparable to what the ancient caveman would have eaten. Mainly fish, grass fed beef, fruits, vegetables, mushrooms, roots and nuts. It does not include grains, dairy, legumes, salt, sugar, alcohol, and processed oils. Sounds to me like a great excuse to eat as much meat as you want. Not my idea of an ideal diet, I mean no beer with my steak? The thinking is that the modern human is genetically adapted to the diet consumed by our ancestors over this Paleolithic era. Cavemen didn’t have the modern diseases that are rampant today like cancer, heart disease and diabetes, so they assume that a paleo diet is going to be beneficial for today’s human. The fact that caveman life expectancy was less than half of what it is today seems not to matter. If you only live to be 30, then you probably are not going to get a lot of modern diseases, since most usually occur later in life. The type of food that the caveman ate is also up for debate. Most of the people that advocate the Paleo diet today put an emphasis on fish and meat, with an emphasis on organ meat. They say a Paleo diet consisted of up to 65% of calories from animal foods that consisted of hunted meats, fish and insects, and the rest from plants. If you look at modern hunter-gatherers the proportions vary widely. The people of southern Africa consume only 25% of their calories from meat and fish, while the nomadic Eskimos of Alaska consume 95% of their calories in meat. Try growing bananas in the snow. Some contend that the Paleolithic hunter-gatherer would have been more of a gatherer than a hunter. 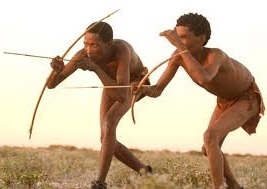 Most of the hunter-gatherers of today have more modern hunting and fishing tools than the ancient caveman yet they don’t consume that much meat and fish. Look at the tribes of New Guinea. A typical hunt for them is a few baby birds or some frogs. They eat mostly plants. Not that they don’t choose to eat meat, they can’t catch it. Why would the caveman have been a better hunter? So the idea that a Paleo diet is heavy on the meat is not supported by any facts. It is just a supposition. Most evidence points the other way. Look at chimpanzees. They are supposed to be the closest to us genetically and they eat mostly plants, about 95% plants, with the rest being from eggs, insects and small animals. The caveman diet was probably much closer to this. It also depends on what part of the Paleo era you look at. If you look at the early Paleo era, around 250 million years ago, primates would have eaten almost no meat at all. They would have existed off of a diet of leaves, bugs and roots. Maybe a lizard or a mouse every once in a while. Towards the end of the era, humans had become less nomadic and were growing crops and domesticating animals. They might have eaten fewer bugs, but leaves were still in the diet, especially green leafy plants. Roots were also in the diet as well as many other vegetables, and they had added grains (and soon beer). Dairy came along around then. T-bones probably weren’t far behind. In 2011 a panel of experts ranked the Paleo diet for US News & World Report. They ranked 20 diets on factors that included health, ease of application and weight loss. It was ranked 20th. Although it has been said by several nutrition experts, following a true Paleo diet would have health benefits. A true Paleo diet being one of very lean wild meat, fish, insects and a lot of wild plants, all of which are totally free of any modern chemicals. Try finding that at your local mega-mart. I just don’t think that early hunter-gatherers were that good at getting the meat and fish so those would have been rare treats, not common occurrences. Like I said, the bow and arrow wasn’t invented until around 10,000 BC. At least that is the earliest record of a bow. The arrow head has been around for much longer, around 64,000 years and that was in southern Africa where today, with much better gear they still only get about 25% of their calories from meat. The earliest record of high consumption of seafood is around 40,000 years ago. Skeletal analysis of a man from eastern Asia near Beijing from that time shows a regular consumption of fish. This is an area that today has several rivers. Archaeology finds of fish bones and mollusk shells along the Nile River support this also. So we can assume that humans living next to rivers ate fish. That does not mean that was the typical diet of the hunter-gatherer of the Paleolithic era. It means that people living near rivers learned to fish. 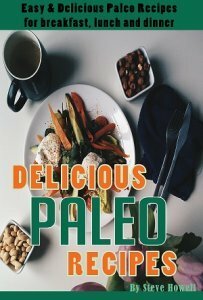 There is no doubt that a Paleo diet would be much better than the SAD (standard American diet) of today. Even if they ate mostly meat, it wasn’t covered with cheese and between two pieces of processed starch and fat with a side of starch fried in fat. If they did eat a lot of fish, they were not contaminated with the PCBs, Mercury and other toxins of today. They also ate a lot of greens and other veggies, at least several times more than the SAD diet. The caveman probably consumed 4 to 5 times as much fiber as is recommended today (not a bad thing). He would have eaten about one fifth of the sodium and 3 times as much potassium (also not a bad thing). He probably got 3 to 10 times as much vitamin C as well as a myriad of other vitamins and minerals like Vitamin E, Iron, Zinc and Calcium. Supposedly, that is why our bodies lost the ability to make our own vitamin C, because our ancestors ate so much our bodies didn’t need to make any. The caveman probably also got a whole bunch more exercise that modern humans do. You know, running after wild beasts while hunting and gathering. And then running from wild beasts that were also hunting and gathering. Chasing cavewomen. I would almost wager that there were very few couch potatoes in the cave. If you didn’t get out and search for food you weren’t going to eat a whole lot. So what’s wrong with the Paleo diet? Well, maybe nothing. It depends on what you call a Paleo diet. There is nothing wrong with eating a diet that is far removed from the SAD diet we have today. That would be a diet that does not include processed foods like breads, pastas, cakes, cookies, bacon, hot dogs, sausage, breakfast cereals, granola bars, lunch meats, doughnuts, canned soups and vegetables, frozen dinners, frozen pizzas, potato chips, sodas and pretty much anything that is not on the produce isle of the super market. It would be a diet that included vegetables, especially green leafy vegetables, fruits and nuts. Depending on what part of the Paleo era you want to follow, maybe bugs, maybe fish, maybe meat. If a Paleo diet does include meat it would have to be wild lean meats that you don’t shoot with a lead bullet. Fish would have to be caught from a stream high up in the mountains, free from all contamination. Both would have to be eaten raw. 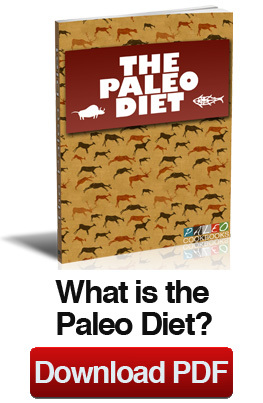 Click on the picture to the left to read a book on what the a Paleo Diet is supposed to entail. Although, unlike many diets, there is no "one" specific version. Each version is a little different depending on the author. It could be good, could be bad. I know there is way to much meat in there for me, but that is just my opinion. Hope it helps.